Storage Form Letters include special template letters you can send to your tenants. Collection notes, letters and e-mails, lock-out and overlock notices, delinquency letters and more! If you need to send a notice to your delinquent storage tenant indicating that their rent is so far behind that they are being locked out, you can use this storage template letter and fill in the spaces with your own company’s information. This notice is to inform you that your rent payment has been past due for ___ days. Unfortunately, in accordance with your rental contract, our system has locked you out at the gate and an overlock will be placed on your units. Please get in contact with us at your earliest convenience by calling us at ___, e-mailing us at ____ or stopping by our office. We are here to help. Please let us know if you have any questions or concerns. This lock-out form letter is ideal for situations in which your tenant has gone far past their rent payment due date and you need to step up the pressure in order to try to secure a payment. Keep in mind that you must check with your state’s lien laws to ensure you are not violating their legal rights by overlocking their units too early. If you have tried contacting your storage customer repeatedly by phone, e-mail or SMS text, and you haven’t gotten any response yet, sometimes the mere mention of the overlock is enough to get your customer back into communications. 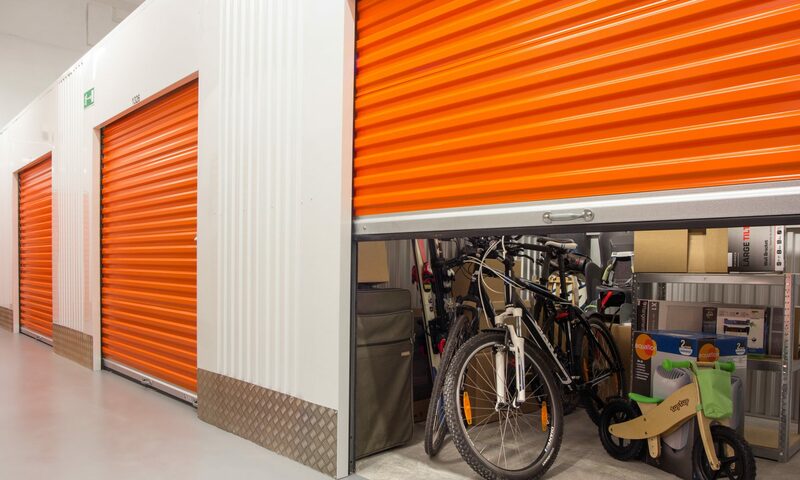 Oftentimes, storage customers will try to avoid your collection calls and e-mails and hope to squeeze by until their next paycheck when money is tight. Nevertheless, many tenants still access their units quite a bit while doing this, making the threat of an overlock a pretty powerful deterrent. If you’re a property manager of a self-storage facility, one of your many functions is to play collection agent for all the accounts that are past due. For some people, this is not a problem, but others feel uncomfortable with this role, which is understandable. It can be difficult to call up total stranger, tell them their rent is overdue, and then inform them of the consequences of further delinquency. This is a friendly reminder from ___your_company_name__ that your monthly storage rent is now _number_ days past due. We hope to help you avoid late fees, and wanted to get in touch with you since the first late fee of ___$amount__ is set to post to your account in __number_ days. Please give us a call at __company_phone__number_, or e-mail us at __company_e-mail_ or stop by our office at your earliest convenience. If you have any questions or concerns about your account, we would be happy to help. Thank you for being our customer. We appreciate your business. Here is a basic form letter that you can use when you need to mail or e-mail a delinquent storage customer. You can copy this text and use it in your own forms or documents as needed. This is a courtesy letter reminding your tenant that the bill is due, but it is not a legal document. If you need a legal letter for any of the middle or late steps in the lien process, you should contact a good lawyer who is familiar with your state’s lien laws. You can add or remove elements as it suits your business and situation. Feel free to use it as you see fit. I release this document for public use, but I make no claims as to its legality nor do I accept any liability for any damages or repercussions that may result from your use of this form letter. I hope this self storage form letter will be of help to self storage property managers that are looking for a quick and easy contact letter to get in touch with tenants who have fallen behind on their monthly rent. In my experience, this kind of letter works very well, because it is clearly designed with a friendly tone and a positive intention of helping out its recipient. I have found that delinquent tenants usually receive this letter very well because it is very clear that we are trying to help them out and give them a friendly reminder. I think this approach is much more effective than the hard-line approach of getting in someone’s face and telling them they owe you money!